Have you ever wondered how smart you are compared to the people in your life, or even compared to all people your age? Put simply, intelligence is mental horsepower. If you have more horsepower, you can do more, faster. If you have less horsepower, you can probably do as much, but it will take more time and energy. An IQ is a quick way to reference this. 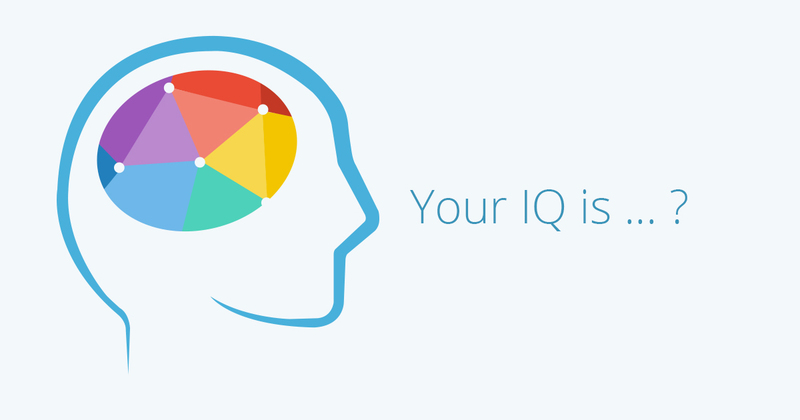 You can get a good idea of your intelligence level by determining your intelligence quotient (IQ). An intelligence quotient (IQ) is a total score derived from one of several standardized tests designed to assess human intelligence. Standardized intelligence testing has been called one of psychology’s greatest successes. It is certainly one of the field’s most persistent and widely used inventions. The test is typically made up of several sub-tests that look at abilities like verbal, perceptual, processing, and working memory. When you take an IQ test, you are compared to people who have taken the test before. Prior to the release of the test, the writers of the IQ test had several hundred, sometimes more than a thousand, people assessed.